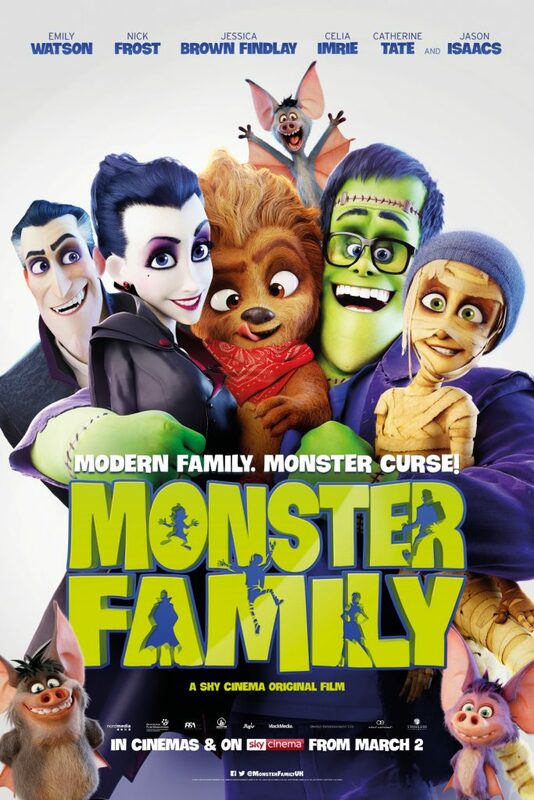 To celebrate the release of ‘Monster Family’ in cinemas and on Sky Cinema from March 2, we are giving away a Family ticket (2 adults, 2 children) to a screening of the film AND 10 goody bags containing a fidget spinner, t-shirt, puzzle, colouring books, stationery pencil case and lots more! These fantastic prizes can be won by visiting our Facebook page https://www.facebook.com/HappyMonkeySmoothies where you will find details of how to enter. Meet the Wishbone family! When an evil witch turns mum Emma into a vampire, dad Frank into Frankenstein’s monster, and kids Fay and Max into a Mummy and a werewolf, they must go on an adventure chasing the witch around the world to return them to their human selves. But when Dracula and his mischievous bats kidnap Emma, the family are thrown apart and forced to find their inner strengths, reunite and reverse the curse that turned them into a MONSTER FAMILY! (C) 2018 UNITED ENTERTAINMENT LTD, ALL RIGHTS RESERVED.